Sign up for Broadjam today to follow FXMS Music, and be notified when they upload new stuff or update their news! 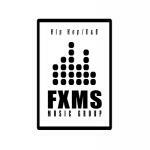 FXMS Music Group's Catalog of HipHop, Rap, and R&B for Licensing, Publishing, Record Placement, and Song Purchase. FXMS Music Groups Catalog of Pop, Rock, Indie, and Acoustic songs and Instrumentals for Licensing, Publishing, and Purchase. FXMS Music Group's Catalog of Electronic Songs and Instrumentals for Licensing, Publishing, and Purchase.